Cleaning our homes is something we have to do even if it can be one of the worst jobs ever. Learning house cleaning tips along the way certainly makes it easier and the more house cleaning tips we learn, the easier it becomes! So instead of spending hours cleaning your home every week, these 35 house cleaning tips will help cut down your cleaning time and make it easier in the process. Most of these tips don’t require harsh chemicals but still clean just as well using common ingredients in your pantry. 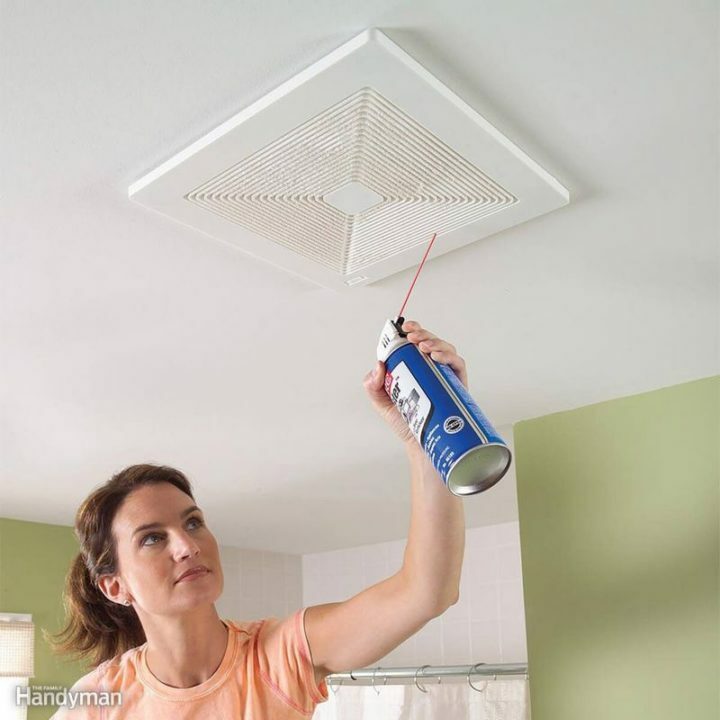 1) House cleaning tips for cleaning the air vents. It’s amazing how much dust gets caked on most air vents and the worse thing is it keeps circulating dust and debris in your home. 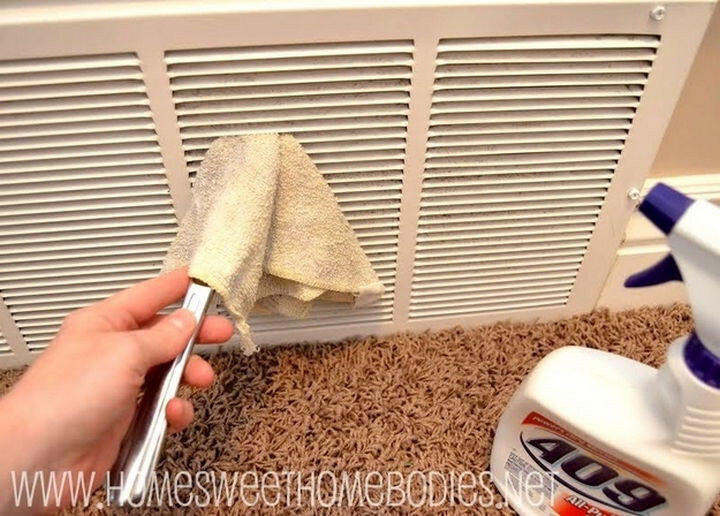 Here is how air vent cleaning will help reduce dust in your home. 2) Cleaning hard-to-reach glass bottles. 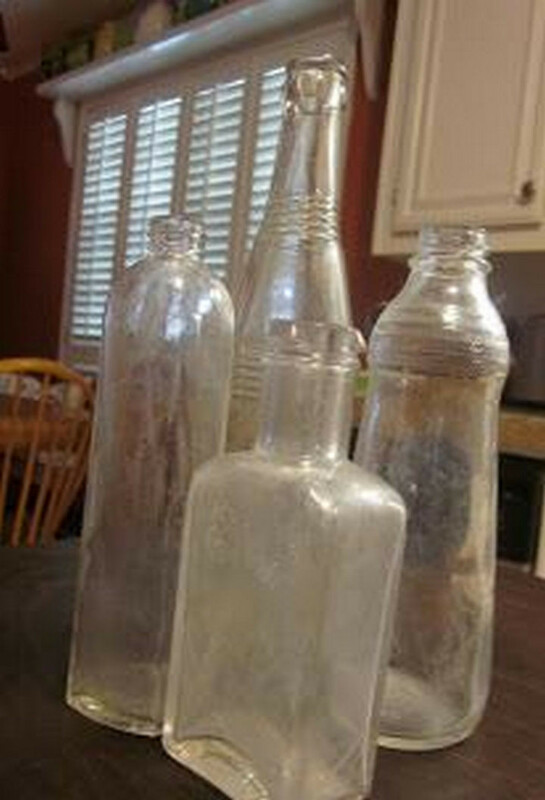 Tall glass bottles look great but cleaning them with a brush can be difficult or impossible. Here is how to clean tall glass bottles using a combination or coarse Kosher salt and dish soap and shaking it vigorously until clean. 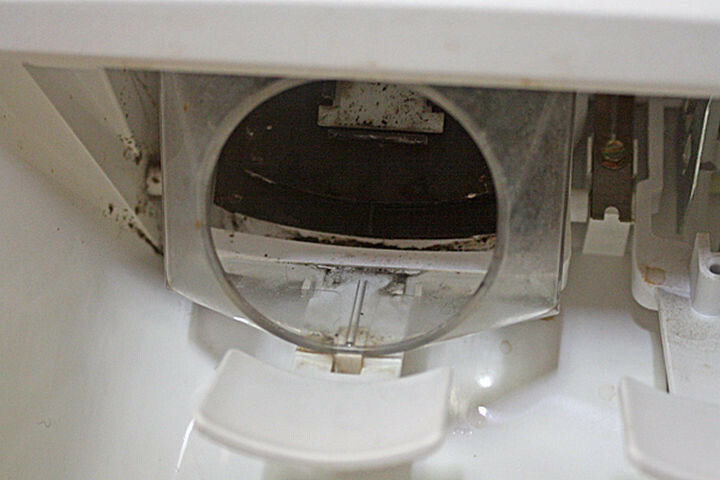 3) Cleaning your ice maker. I sometimes don’t even ask for ice at a guest’s house because most people don’t think of cleaning their ice maker regularly. It doesn’t get dirty, it’s only ice, right? Wrong. Ice makers can harbor bacteria or pathogens that can eventually make people sick. 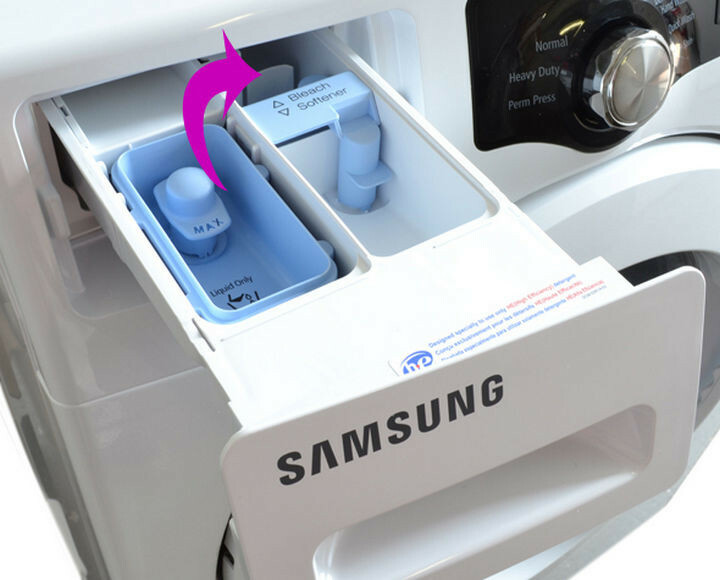 Here is how to clean your ice maker using a steam machine. 4) Prevent messy cleanups by naturally making your grill non-stick. Grilling in the summer is amazing but cleaning up the grill afterward is not that amazing. 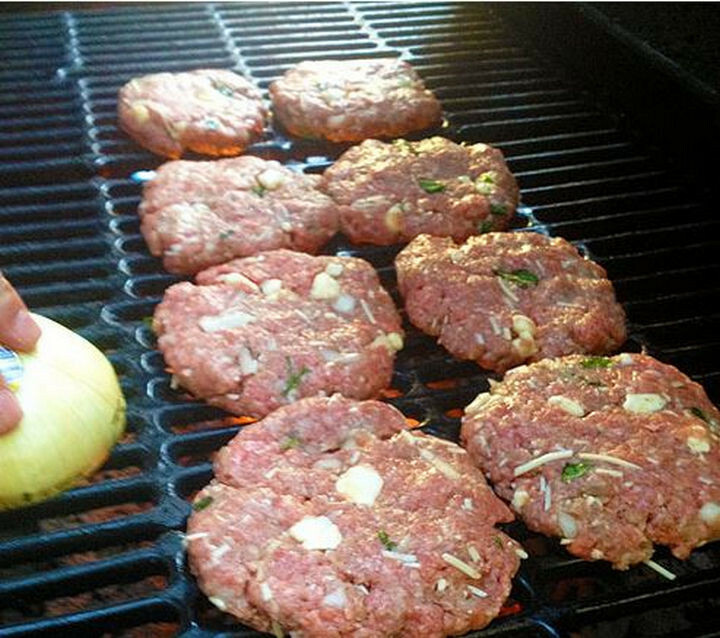 Instead of using oil, try cutting an onion in half and rubbing it on your grill as a substitute for cooking spray. It will help prevent food from sticking and also makes cleaning your grill a little easier after your food is cooked. 5) Cleaning your microfibre couch. 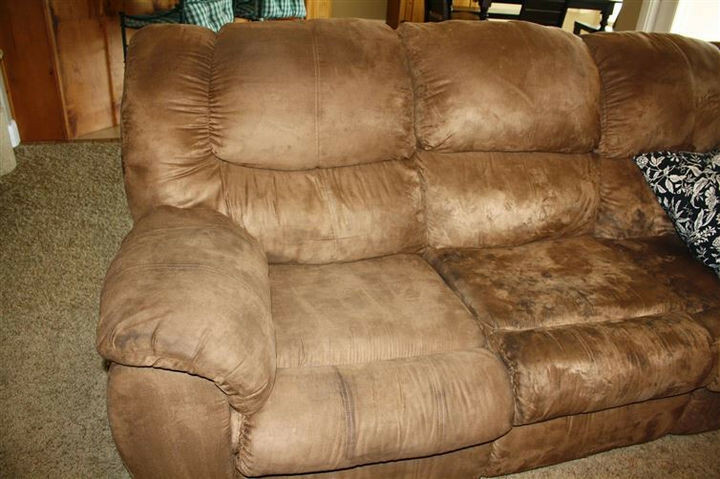 Microfiber couches are generally good at repelling dirt but they still need to be cleaned like most things. Can you tell which side is cleaner in the photo above? Here is how to clean your microfibre couch with nothing but distilled water or rubbing alcohol. Extra tip: If you want to have it smelling fresh, generally dust it with baking soda and leave it on for 20 minutes before vacuuming it away using a brush attachment. 6) Clean away dirt and mold from grout. 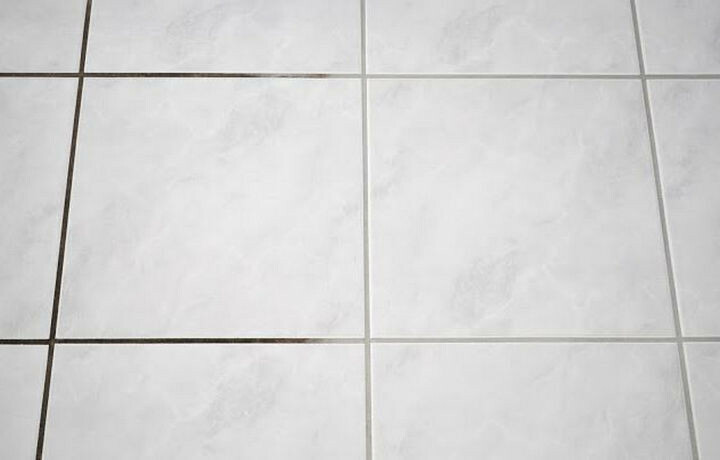 The appearance of dirt and mold on grout is enough to make anybody cringe every time they walk into your bathroom. Here are great house cleaning tips on how to clean grout using only Clorox toilet bowl cleaner! 7) Clean dirt from window tracks. It’s amazing how much gunk accumulates between window tracks and keeping window tracks clean will make opening and closing your windows much smoother. 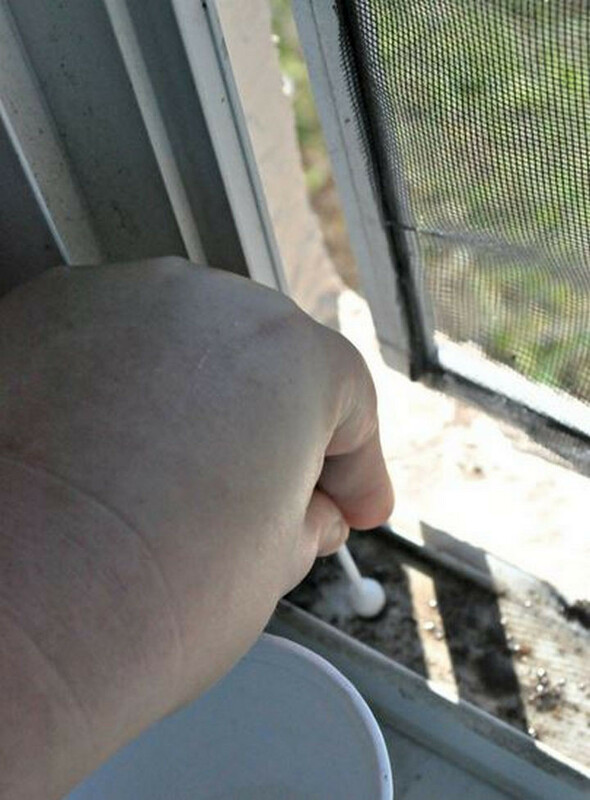 Here is how to clean window tracks and make them look like new again. 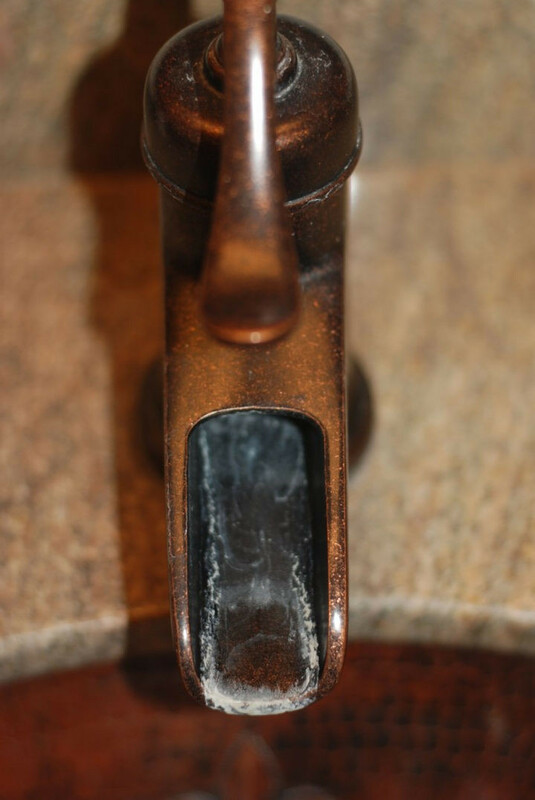 8) Remove hard water stains from your faucets. “Waterfall” faucets look great but only until hard water stains start showing up. Here is how to remove hard water stains by creating a paste with salt and cleaning vinegar (it is slightly more acidic than regular vinegar) and letting it stand for several minutes. 9) Remove permanent marker from wood. 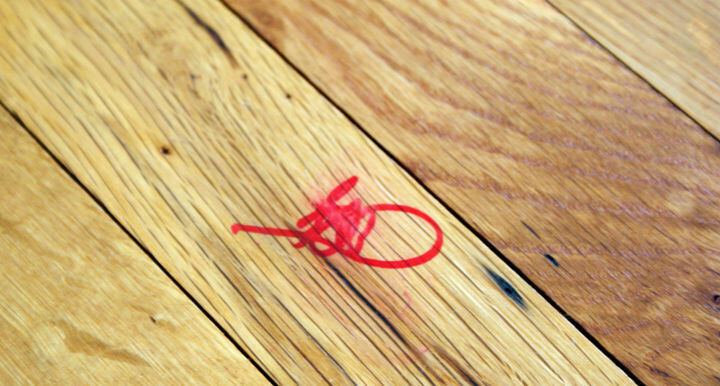 You might think that fully removing permanent marker from hardwood floors or furniture is impossible but a little scrubbing with the right ingredients will do the trick. Here is how to remove permanent marker from wood using only toothpaste! 10) Clean the air conditioner. Helping your conditioner run clean and efficiently is one of the best ways to prevent costly repair and service costs. 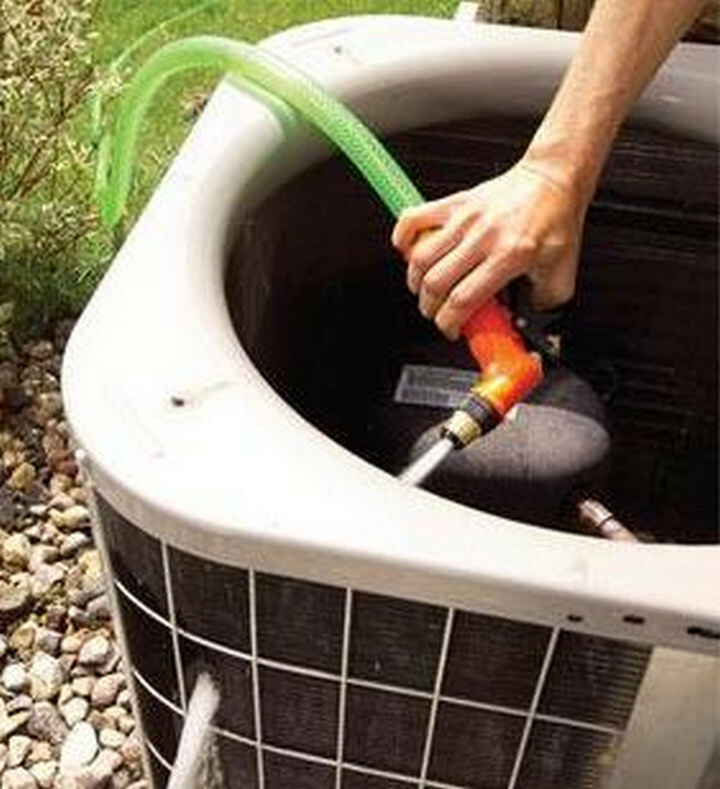 Keep it running smoothly by following instructions in this handy step-by-step tutorial for cleaning your air conditioner. 11) Brushing out your vehicle air vents. Dust collects everywhere in your car but air vents are the worst. 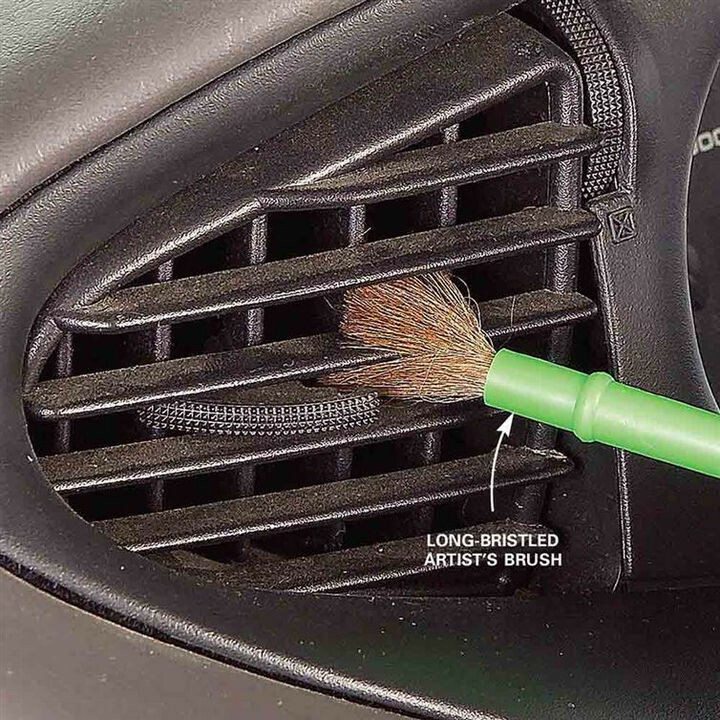 Here is how to use an inexpensive artist brush to brush away dirt and dust from your car air vents. 12) Washing your dog’s toys. 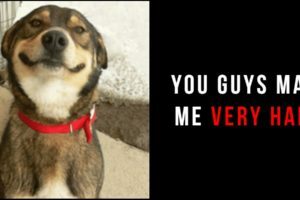 Dog toys lay around everywhere and they are magnets for dirt and your dog ends up ingesting it when playing with them. 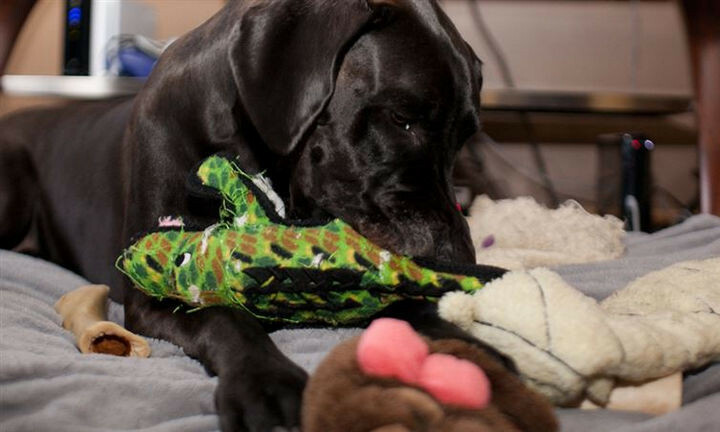 Keep your dog healthy and your house clean by regularly cleaning dog toys with these special instructions for dog toys made of plastic, rubber, or plush. 13) Remove oil stains from your driveway. If you have a concrete or asphalt driveway, chances are you will probably have to clean up an oil stain at some point. While there are several DIY solutions available, here is how to remove oil stains from concrete or asphalt by using a product called Pour-N-Restore. 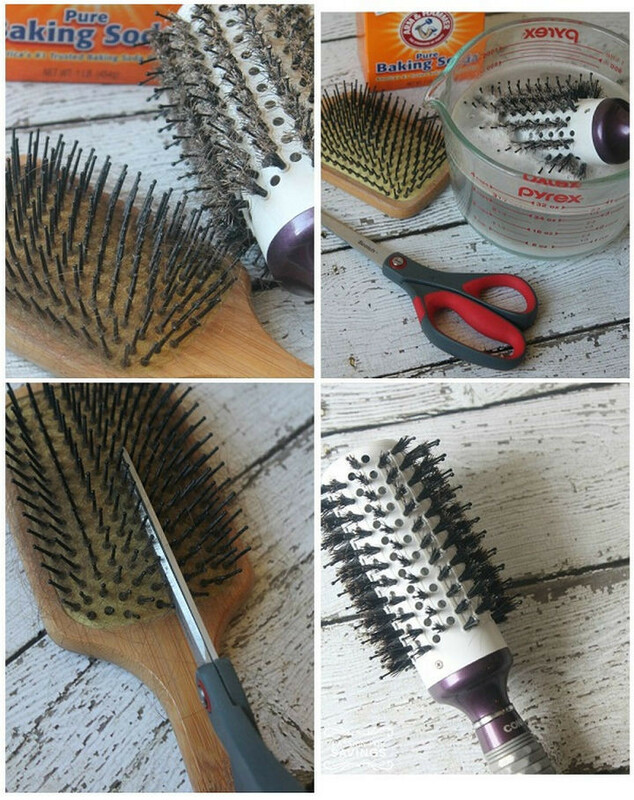 I used to throw away my hair brushes but not anymore! Here is how to clean your hair brushes by soaking them in a solution of baking soda hot water. 15) Cleaning your ceiling fan. 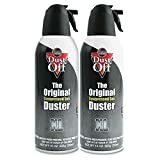 There are several ceiling fan dusters on the market and while they do remove the dust from your ceiling fan, they end up spraying that dust all over the room. Instead, here is how to clean your ceiling fan using an old pillowcase and all the dust gets trapped inside! 16) Gently scrub away stains from your laminate countertop with these house cleaning tips. If you have a nasty stain on your laminate counter that just won’t come off with a soapy dishrag, here is how to clean your laminate countertop with baking soda and a wet microfibre cloth to gently remove stubborn stains. 17) Clean your smelly washing machine and help eliminate odors. Front-load washers are awesome at saving hot water but they can eventually smell funky because of mildew if you don’t clean them routinely. Here are great house cleaning tips on how to clean your washing machine that will help prevent you from a having a smelly washing machine. No matter how much washing a cookie sheet goes through, eventually it will have accumulated enough baked on gunk that no amount of scrubbing will remove. Have your cookie sheets looking like new by rubbing them with a paste made of hydrogen peroxide and baking soda and let them sit for a couple of hours. No scrubbing needed! 19) Remove rust from your metal knives. Whether you have kitchen knives made from carbon steel or stainless steel, they will eventually start showing rust spots. First, try soaking them in lemon juice or vinegar for 5-10 minutes then scrub away the rust stains with a wet cloth. Also, you can try rubbing them with tin foil. 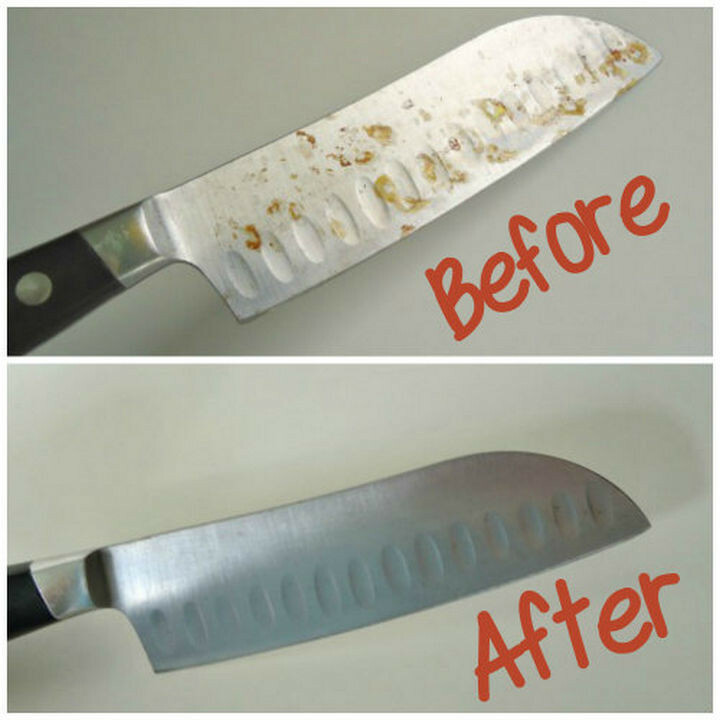 If both methods don’t work on your rust stains, here is how to remove rust spots from knives using a scouring powder such as Bar Keepers Friend. 20) Detail your car seats. Why pay someone to detail your car when you can do it yourself and do a better job. 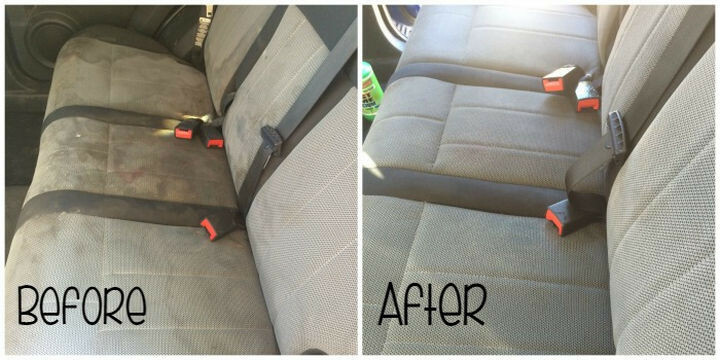 Here is how to clean car seats in a snap by using a mixture of club soda, vinegar, and dish soap. 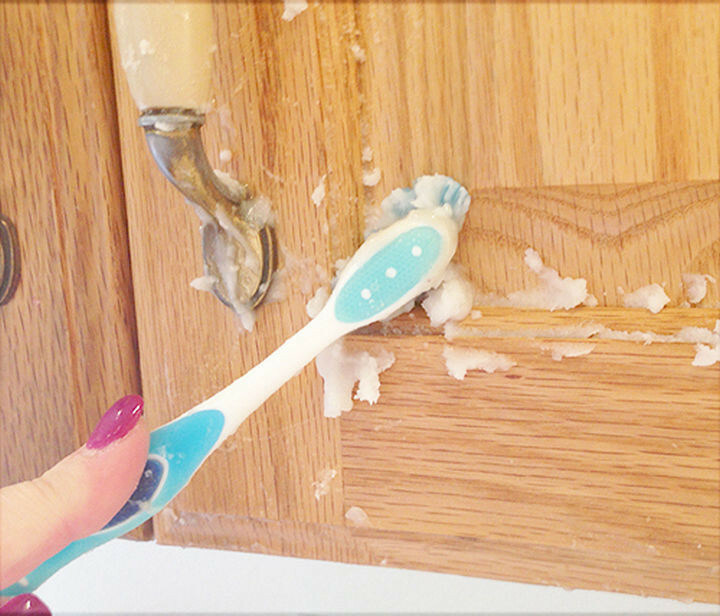 21) Remove gunk from your kitchen cabinets. We may not realize our wooden cabinets are dirty until we get a closer look. Clean away dirt and gunk from your kitchen cabinets using this DIY paste using vegetable oil and baking soda. Sometimes brooms need to be cleaned too to remove dust and debris stuck to the broom’s bristles. House cleaning tips for cleaning brooms? I thought you’d never ask! 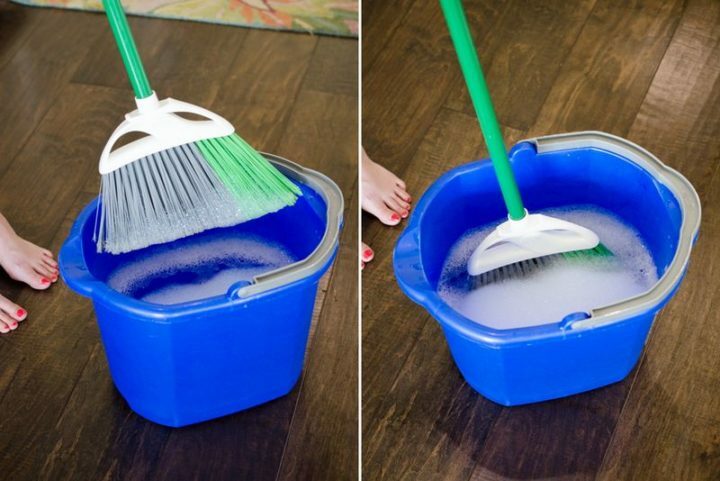 For an easy way to clean brooms, just add a few drops of dish detergent to a bucket of warm water and soak your broom for an hour. Toss in your dustpan too and rinse every everything off with water afterward before storing them. 23) Cleaning your exhaust fan. Exhaust fans in your kitchen or bathroom can eventually get clogged with dust. Instead of vacuuming, let the exhaust fan do the work! Get a can of ‘canned air’ or also commonly called air dusters to blow away dust and debris and the exhaust fan will expel outside. 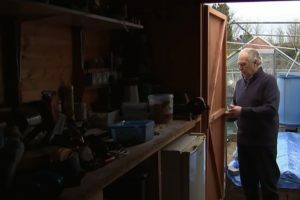 You can find canned air at most hardware stores or Amazon. Ever ironed a white shirt only to find out your iron left stains on it? 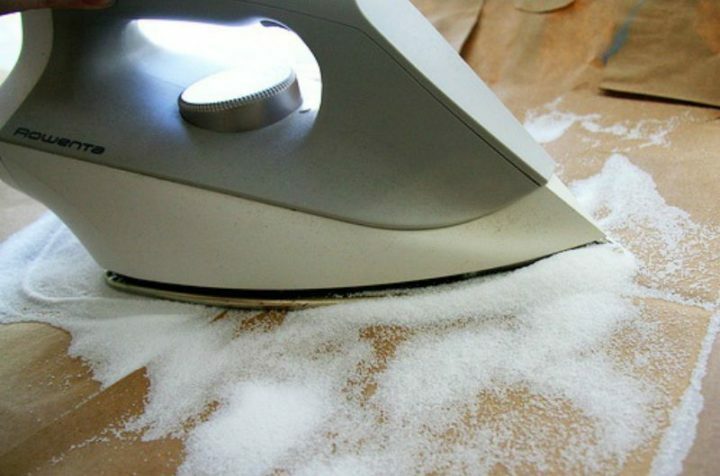 Clean the soleplate on your iron by sprinkling some salt on your ironing board and set your iron to the highest setting with no steam (steam will cause the salt to clump together which you don’t want). When heated, swirl your iron over the salt and any dirt or debris will cling to the salt. Your iron’s soleplate will look shiny and new again! 25) Removing rust from your cutlery. 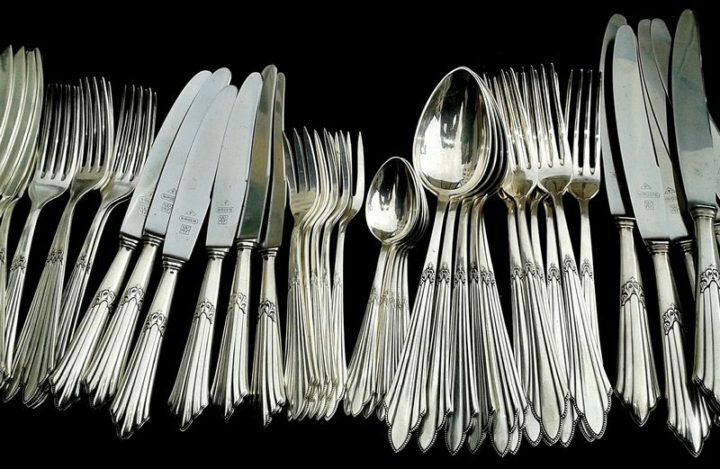 Cutlery gets used often and the toll it takes from washing and drying can eventually develop rust spots. An easy way to get them shining again is to soak them in equal parts of water and lemon juice. After soaking for 10 minutes, simply rinse and softly dry them off with a dish towel. 26) Cleaning up liquid messes on the floor. 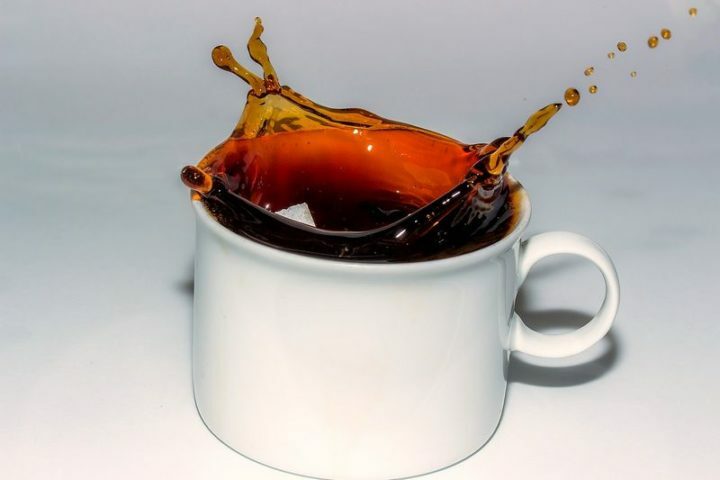 The first reaction for most people is to reach for a mop when something is spilled on the floor. Instead, sprinkle some flour on the spill and it will make it clumpy. It can then be easily scooped up with a broom and a dustpan. 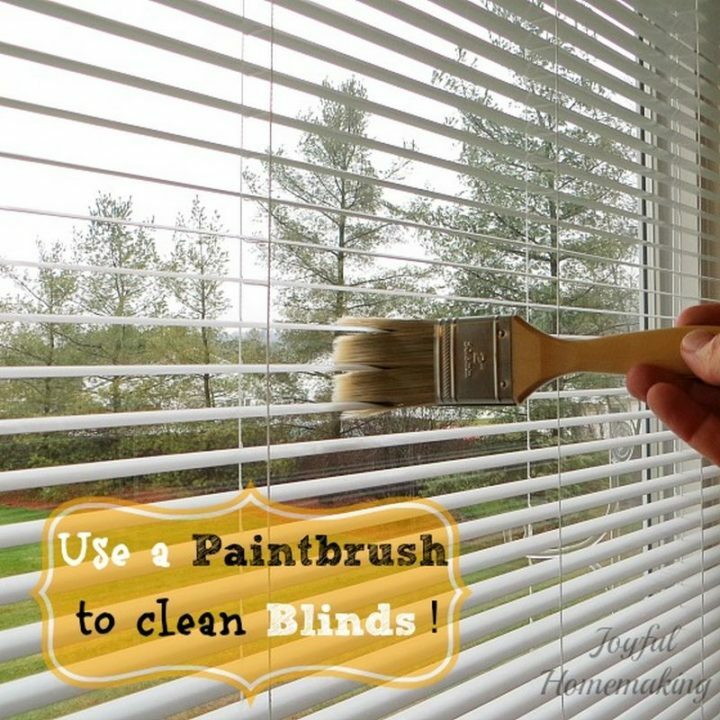 27) Easily clean your blinds with a paintbrush. While placing your blinds in a tub with soap and water and rinsing them off in the shower is one way to keep blinds clean, dusting them regularly with a paintbrush will help blinds stay clean longer. Simply start from the top and work your way down. It’s much easier than lugging out the vacuum and a great way to get kids involved in cleaning as they’ll love ‘painting’ the blinds. 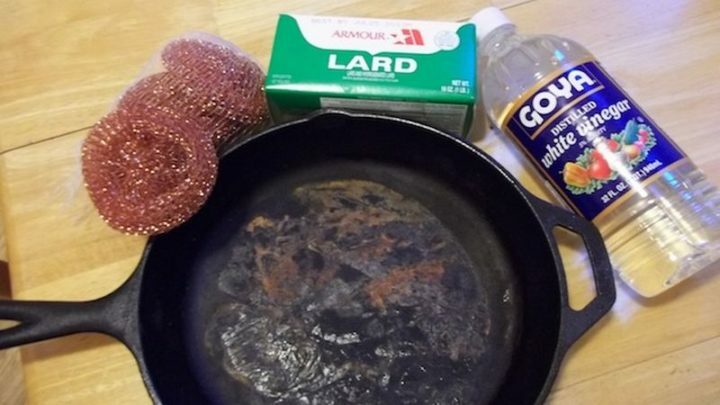 28) Removing rust from cast iron cookware. If you have rust on your cast iron pans, they’ll look like new with this tip. 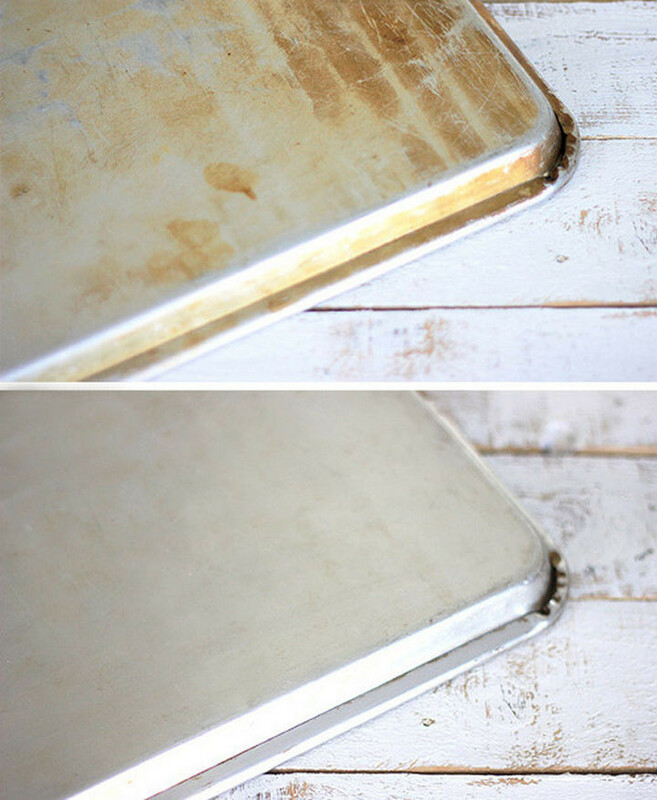 To help loosen rust, soak the pan in equal amounts of water and vinegar and soak for an hour. If it’s really bad, soak it for a maximum of 6 hours otherwise the vinegar will start on the metal itself. Then, scour away the rust using a copper pad or scouring brush. 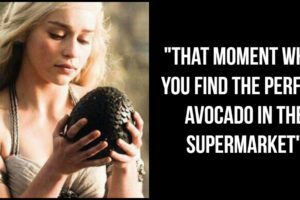 You’ll then need to re-season the pan. For this, you just need to scrub the pan with oil or lard and bake it in a 350-degree oven for an hour. 29) Removing pet hair using a rubber glove. 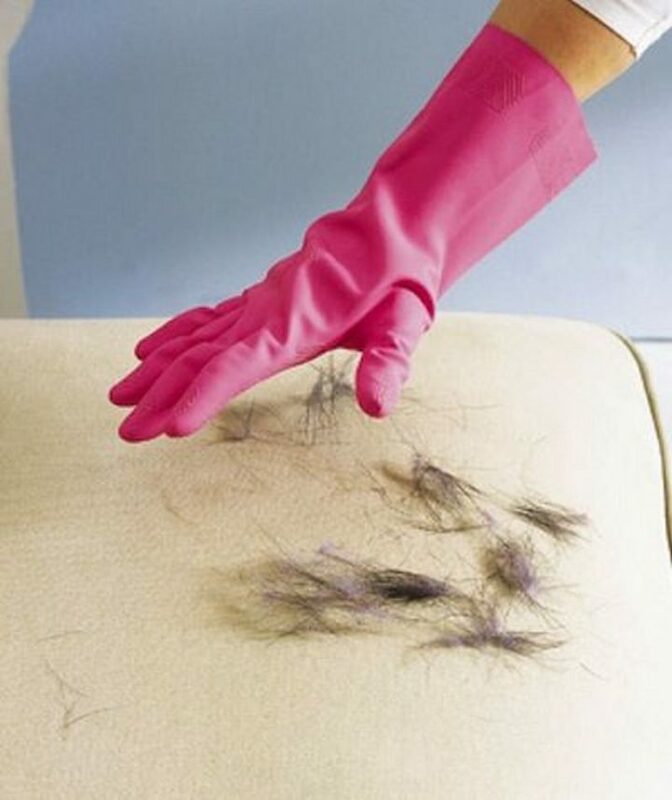 Remove stubborn pet hair from furniture by wearing a damp rubber glove and running your hand over any hair-covered upholstery. Your sofa and chairs will look brand new as pet hairs will stick to the damp gloves. 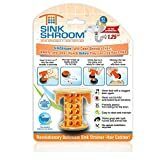 Just rinse them in the sink when done and make sure you have a sink hair catcher. 30) Making a DIY vacuum attachment to clean small spaces. 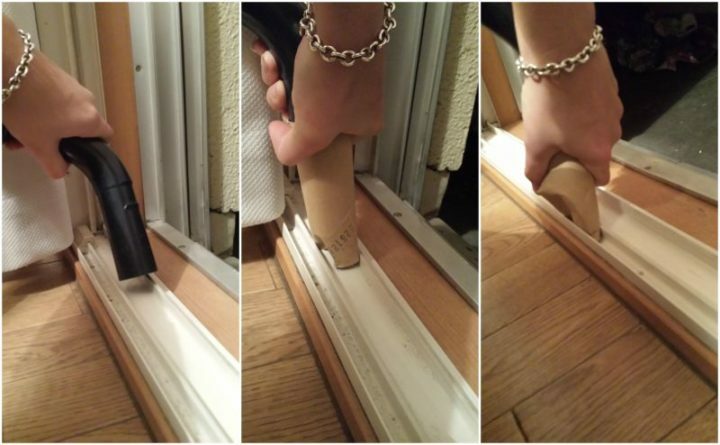 If you can’t find a vacuum attachment to fit into small spaces, just make your own DIY vacuum attachment using a toilet or paper towel roll tube. Just bend or crimp the cardboard tube so that it fits the gap you’re trying to clean and voila! 31) Remove scuff marks from wooden furniture with oil and vinegar. If you thought oil and vinegar were only great on salad, think again! They’re a great combination to tackle many house cleaning tips too! 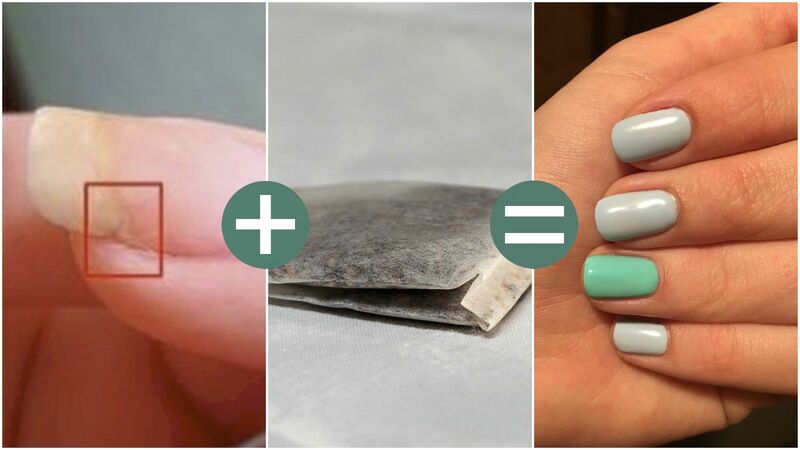 This awesome hack from Lily & Thistle for making wood look new again is amazing. First, mix together 3/4 cup oil with 1/4 vinegar in a cup. 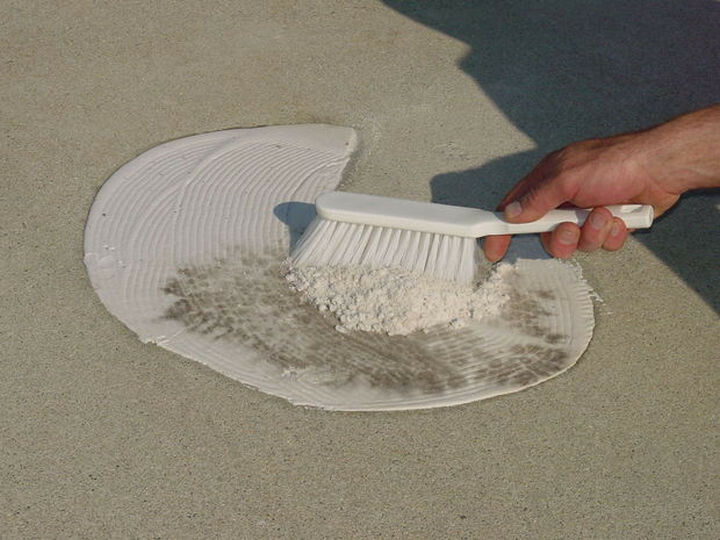 Then, dip a rag into the mixture and wipe down any scuff marks and watch them disappear. 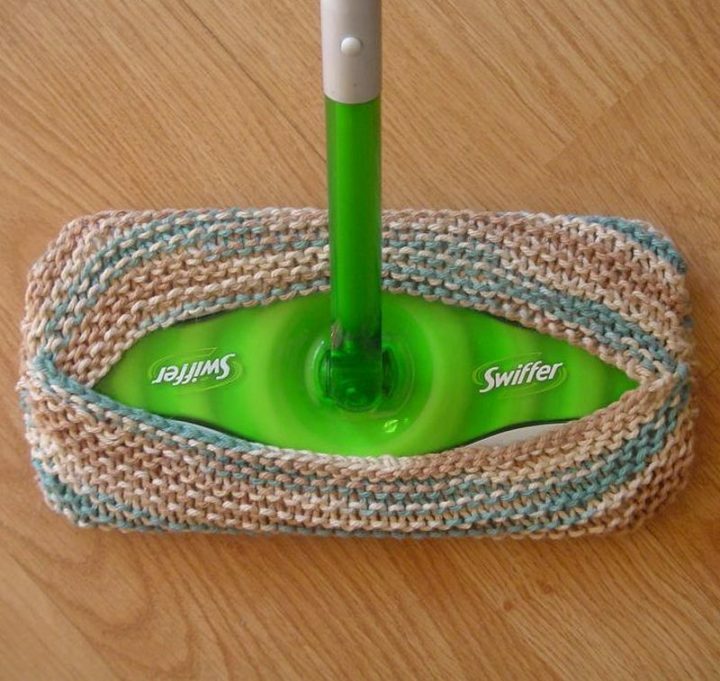 32) Making a DIY reusable Swiffer pad. 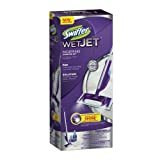 If you’ve ever tried a Swiffer WetJet, you know how it has transformed the dirty job of mopping floors into an easy one. But with most devices that use disposable pads, it can end up costing a lot of money. Instead, knit your own DIY reusable Swiffer pad with this free knitting pattern. If you don’t knit, you can even try attaching an old sock and toss it in the washer when dirty. 33) Clean windows naturally and without leaving streaks. If there is one annoying thing about cleaning windows it has to be leaving window streaks. One way to prevent streaks is to use crumpled newspaper to wipe your windows with. 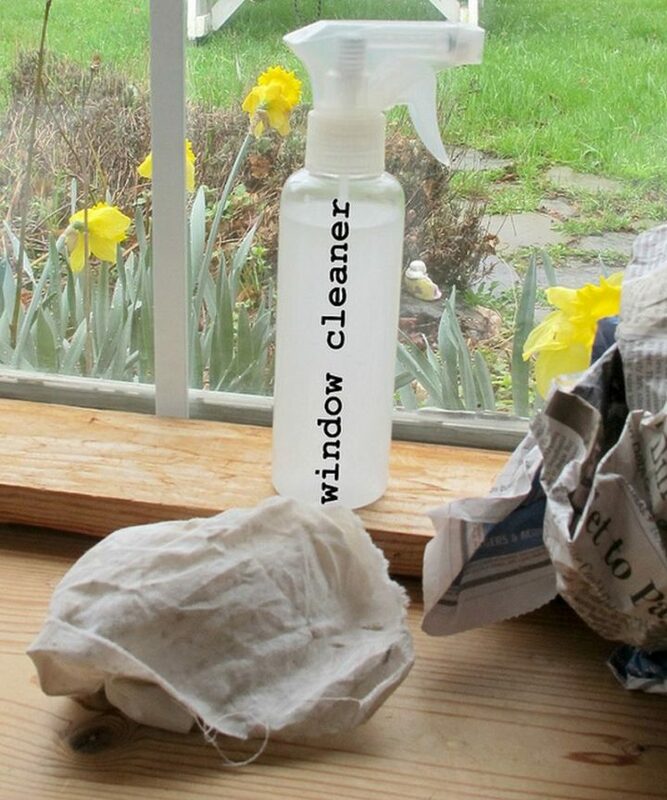 The other is to use a vinegar-based window spray with a dash of cornstarch and this natural DIY window cleaner recipe is just perfect. 34) Cleaning your keyboard or other hard to reach areas. You’ve probably seen advertisements for cleaning slime and shrugged it off but the truth is…they really work! If you’ve wondered how to make slime, there are tons of recipes but there are also many commercial cleaning slime products available too. 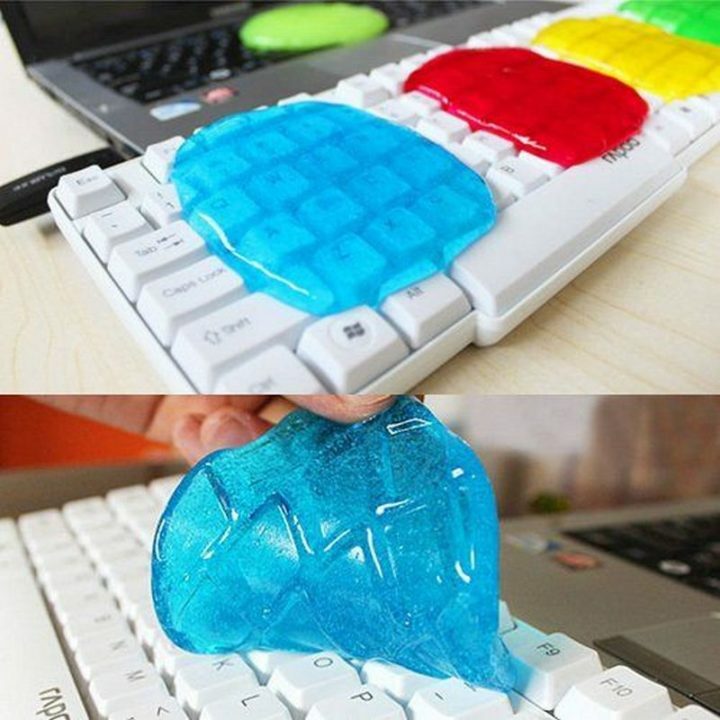 Cleaning your keyboard is as easy as working the slime into the nook and crannies and removing it. Dirt and debris will cling to the slime and your keyboard will look new again. If you’re wondering, the slime won’t leave any residue on your keyboard. 35) Clean your blender in 30 seconds. 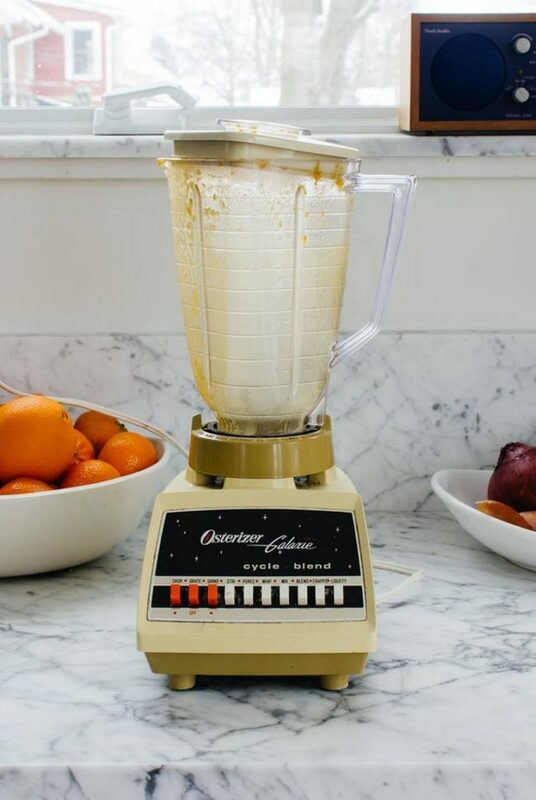 Generally, it’s not necessary to take apart your blender every time you clean it. After a few basic tasks, a good thorough cleaning is recommended but after making smoothies or soups, this blender cleaning tip is a godsend. Basically, fill the blender half-full with hot water and put a drop of dish soap. Then, let it run for 10 seconds at full speed. Drain the water then rinse with more hot water and it’s good to go! 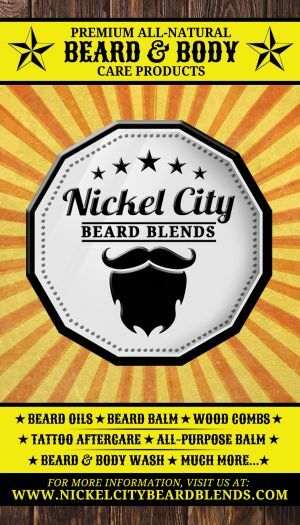 Here are the full instructions for cleaning your blender in 30 seconds. Safely pick up pieces of broken glass using a slice of bread. Remove built-up residue from your shower head using a bag filled with vinegar. 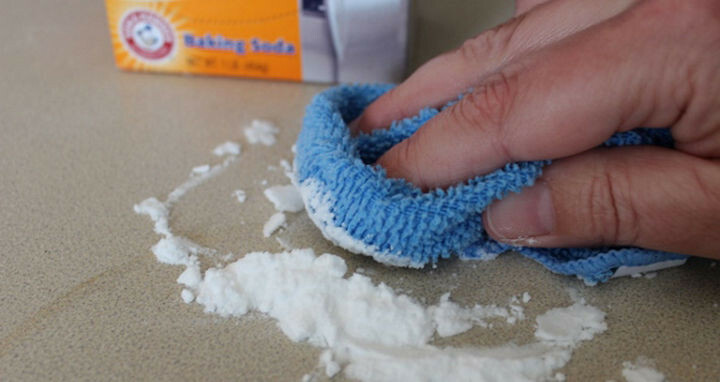 Clean your baseboards with fabric softener sheets. House cleaning doesn’t have to be hard by using house cleaning tips and hacks to make the job easier. Please share these house cleaning tips with your friends and family and help make their lives a little easier. 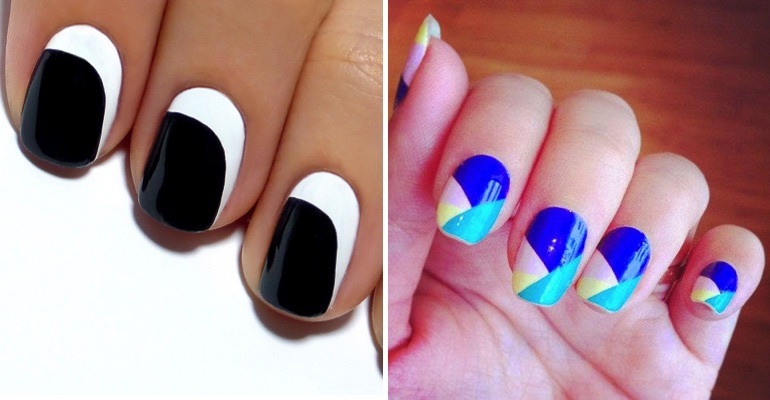 13 Easy Nails Designs for the Lazy Girl in All of Us. Looking Great Shouldn’t Be Complicated.